With the Earth Aroma Diffuser, you can create an atmosphere of cool and calm anywhere in your home or even at the office. Ready to relax and unwind? Need to get in the zone for work? Just plug in the Earth Aroma Diffuser and add a few drops of your favorite essential oil to release the Aromatherapy of lavender, grapefruit, vanilla, or whatever scent you prefer. 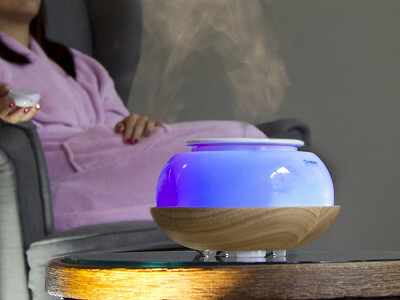 The Earth Aroma Diffuser also appeals to your sense of sound. Surround yourself in a selection of soothing options, many of which take cues from nature. The softly glowing base can be adjusted to your desired intensity and color. Even the design is aesthetically pleasing and peaceful. The remote control looks like a river rock, while the Diffuser itself features a mix of smooth finishes including wood and porcelain. 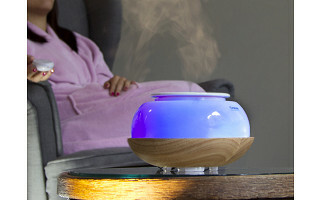 The Earth Aroma Diffuser is made by Oregon Scientific, an internationally-known company founded in the state of Oregon. Designed by the Wellness Division, the Earth Aroma Diffuser puts a unique combination of innovative technology, thoughtful design and personal care in your hands. The result is portable spa-like serenity anywhere you need it. Have you ever been to one of those calm, soothing rooms at the spa and thought, “I should totally just have one of these in my house." Well, consider the Earth Aroma Diffuser your first step. I’m here to answer any questions. Does this product perform well over time? @Roberta Hi Roberta! Absolutely -- with this product and a small bottle of essential oil, you're good for well over a year of regular use. As far as durablity is concerned, I have an older version in my office that I've been using for 4 years now with no issues. Thanks for your consideration! Are there different lighting colors? @Brian Hi Brian - there are 4 lighting modes... pink, blue, purple and a rotation through all colors. All are changed via remote control. Thanks for the question! @Suzanne Sorry to hear that Suzanne! Please contact our customer service, the product has a 12-month warranty on it and you should be able to get a new item. Or, if you feel more comfortable working with me directly, let me know and I'll get you my email to process this. 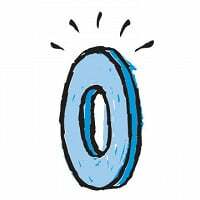 What are the dimentions of teh unit? With the Earth Aroma Diffuser, you can create an atmosphere of cool and calm anywhere in your home or even at the office. Ready to relax and unwind? Need to get in the zone for work? Just plug in the Earth Aroma Diffuser and add a few drops of your favorite essential oil to release the Aromatherapy of lavender, grapefruit, vanilla, or whatever scent you prefer. The Earth Aroma Diffuser also appeals to your sense of sound. Surround yourself in a selection of soothing options, many of which take cues from nature. The softly glowing base can be adjusted to your desired intensity and color. Even the design is aesthetically pleasing and peaceful. The remote control looks like a river rock, while the Diffuser itself features a mix of smooth finishes including wood and porcelain.